A few weeks ago I was trying to figure out what genre my book would best fit into. Thanks to the folks on kboards, once again, for pointing me to this post by Julie Ann Dawson. It certainly took some of the guesswork out of it, but there is still some wiggle room. I mean there’s no question my book is political, and it felt like a thriller while I was writing it, but there is a healthy dose of technology and sci-fi thrown in there too. I am currently waiting for all of the feedback from my beta-readers, as well as a final cover design, so in the meantime I thought I would try to learn a bit more about Political Science Fiction. What better way to do that than reading a book with that same title? Overall, this 1997 book is interesting, if a bit dense. 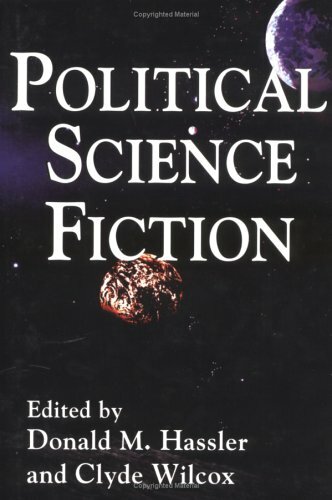 It is a collection of essays about various science fiction media (books and TV), some of which certainly qualify as scholarly. And I don’t actually read a lot of science fiction myself, so some of the references were lost on me. 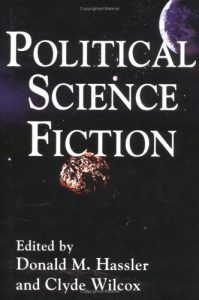 But my takeaway was the consensus among the authors that all science fiction is political. Some is more overt than others, but it is, in fact, very difficult to write sci-fi that is not in some way political. So I think my approach will be to poll my beta-readers and ask if they consider my story a thriller. If they agree, I will classify it as a technothriller. Otherwise, I will go with general science fiction.